Unfortunately, it’s not at all clear from Mr Rixon’s text which elements are his own and which derive from his extraterrestrial friend. This is a pity, as I’m sure it would help if we could separate the earthly dross from the heavenly wisdom, but until the poster achieves his true desire (“LOOKING FOR FULL PUBLICATION.OF MANUSCRIPT” (sic)), we’ll just have to go with what’s presented on UFODigest. 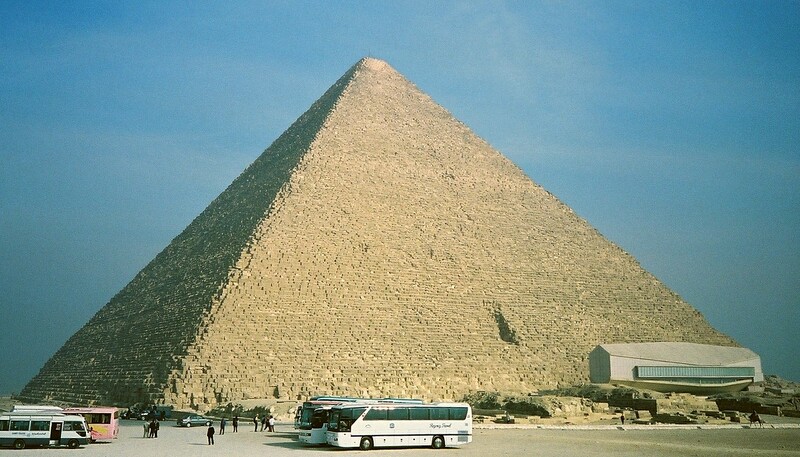 To begin with it has been thought and taken for fact that the Great Pyramid was built for King Khufu as a burial tomb. 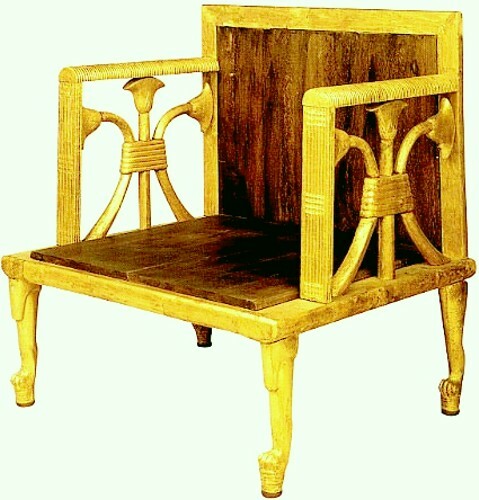 This is because his name was written in hieroglyphic markings inside the construction. But, there is great doubt to its authenticity. Some were wrongly spelt, and some with bad grammar, making them appear to be fakes. Well, this can’t be from CAramac, as it’s just dead wrong: there is no doubt whatsoever about the authenticity of the painted marks, some of which are in gaps between blocks inaccessible to a modern forger, none is wrongly spelled or has poor grammar and the accusation that they were forged by their discoverer, Howard Vyse (1784-1853), made unjustly by Zecharaia Sitchin in his Stairway to Heaven, published in 1983, has been comprehensively debunked. The theory of a Royal tomb, historians have taken and speak about it as fact even though there is no firm evidence that this was so. The Egyptologist’s say the reason no body has been discovered in the Great Pyramid, was because before it was completed the treasures that were supposed to have been placed there, were stolen. The Pharaoh then abandoned the idea of using the pyramid as a tomb, and used a burial site underground instead. That’s a slightly new idea: Ḫwfw’s treasure was stolen before construction work on the pyramid was over, so he decided to have an underground tomb instead. Those dastardly palace burglars! Always making off with Pharaoh’s goodies. It’s a pity that Mr Rixon (for I’m sure that Caramac wouldn’t have made this mistake) doesn’t tell us which “Egyptologist’s” (sic) have come up with this ingenious explanation for the lack of Ḫwfw’s mummy inside the pyramid. Going against family tradition, the bereft king decided not to follow in his ancestors’ footsteps by building a pyramid: perhaps he was put off by his father Śnfrw’s greed in having three of them. As George Rixon says, “One would have thought that the treasures would not have been placed in the pyramid until the Pharaoh had actually died”. Quite. Perhaps it was Aramac, after all, who fed him this implausible detail. In 1994, Hartwig Hausdorf a German explorer gained permission from the Chinese government, to explore a once forbidden area to outsiders. In doing so, he discovered 100 large pyramids, which had never been seen by anyone in the west before. 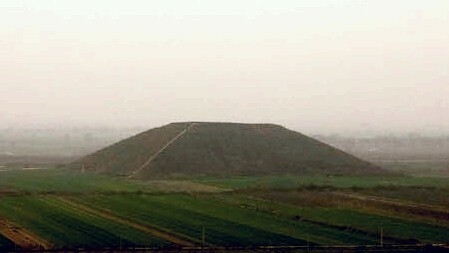 He claims that some of the pyramids in Shensi Province in Central China are even larger than Egypt’s Great Pyramid, dating back some 5,000 years. 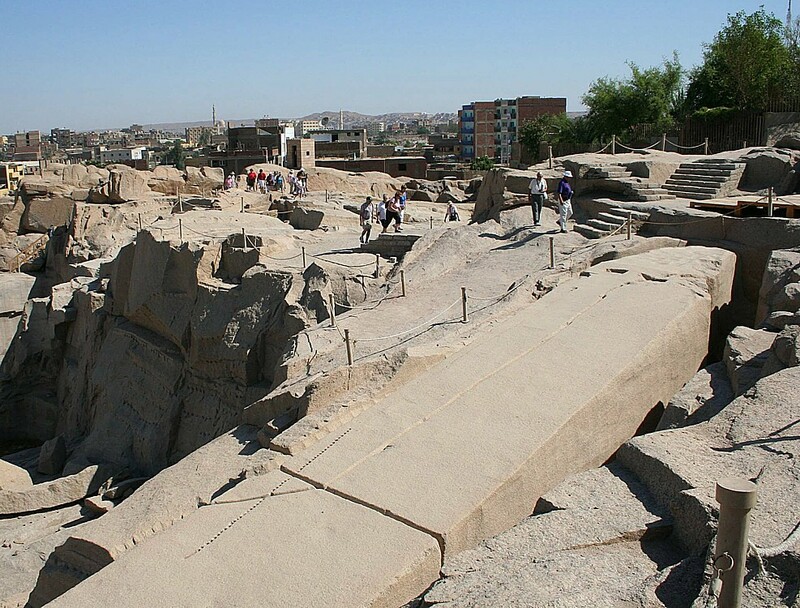 Excavations in that area will not begin until sometime in this century. Herr Hausdorf (born 1955) is not so much of an explorer as a former travel agent who has turned his talents to writing on pseudoscientific topics, with a particular focus on what is unnecessarily kindly termed PalaeoSETI. It is more often known as the Ancient Astronauts hypothesis, particularly associated with Erich von Däniken. Again, our information is presumably not from Mr Rixon’s alien chum, as it’s wrong: the mound tombs of Shaanxi province were known in the west long before 1994 (unless Aramac had not yet observed Earth when Emperor Qin’s terracotta army was discovered in 1974 close to his tomb mound). And this despite those secretive Chinese authorities informing “a New Zealand airline pilot named Bruce Cathic” in 1962 that there are no pyramids in their country. The cheek of it! Not deterred by this brush-off, good old Bruce “was nevertheless able to confirm the existence of several of them and in a book called the ‘Ridge of Infinity’ he suggested there is a network of pyramids over the surface of the earth, whose purpose is connected with leys lines and earth energies?” (sic: punctuation in original). Ah yes, “ley lines and earth energies”. We’re still not in the realms of Aramac: what ET would be so foolish as to believe in non-existent ley lines and earth energies? The list goes on (and on…). There are pyramids “near the town of Guimar on Tenerife… [i]n Trujillo Peru… in Caral Peru… [i]n the valley of Mexico in ancient Teotihuacán… There are many small pyramids that can be seen across Europe from France to Greece. 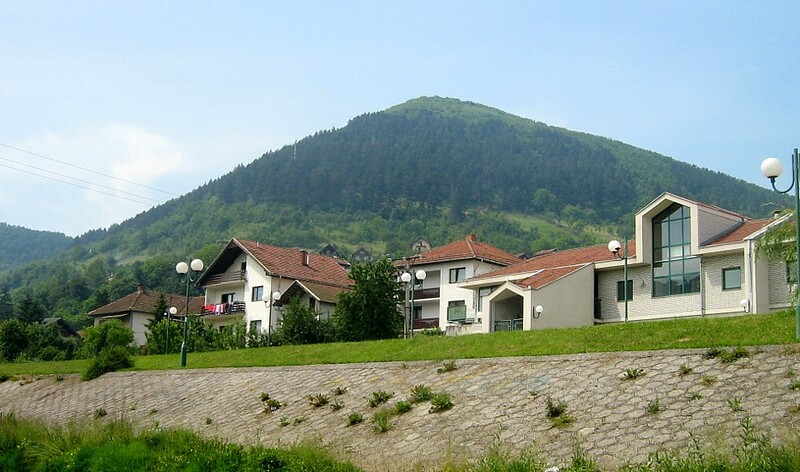 In 2003 in Italy a pyramid was found and in 2005 another was unearthed in Bosnia. Pyramids are still being discovered in some parts of the world where in the past they have been hidden underground such as Bosnia.” Aramac can’t have been misled by the ridiculous claims of Semir (Sam) Osmanagic about Bosnian pyramids, so we must still be reading George Rixon’s contribution. Oh well, at least there are some pyramids elsewhere in the world. We can accept that much. Time to move on, this time to a discussion of construction techniques. Like typical Bad Archaeologist, Mr Rixon (for it is surely he, not Aramac, who is misrepresenting Egyptologists) frets that “[a] number of documentaries over the years shown on TV have seriously undermined the precision required to complete the Great Pyramid in its construction”. I think he means “underestimated” rather than “undermined”. An alien would be more careful with his English, I’m sure. Mr Rixon doesn’t like the idea that the pyramid builders might have used a plumb-bob, as it’s not sophisticated enough to “achieve the very precise measurements in that manner. And yet no one challenges the documentary makers” apart from the brave souls like George Rixon who know that you need complicated equipment to construct a heap of stones. There then follows a section on averages. At least, I think that’s what being discussed, but it gets derailed by a discussion of the “national average wage… for the workers of this country” (I assume the country to be the UK as pounds are mentioned, unless Aramac’s home also pays its workers in sterling). We’ll avoid this section, not because it’s incoherent (which it is) but because there must be better stuff to come. With having a great deal of experience in the building trade I can tell you using stones as tools would have been impossible. You would not be able to get the very precise measurements required in the stone dressing process. Also the workers would have had to wear modern day gloves, especially made for that kind of hard work. To hold one stone as a form of chisel and the other as a pounder would mean after an hour or two both hands would ache so much where the workers would not be able to hold those stone implements. Their hands would soon become sore creating blisters and even if they had used gloves the same problem would arise. The heat of the sun through the gloves would make the hands extremely hot where irritation between the glove and the hand would become so severe again the hands would become sore creating blisters. 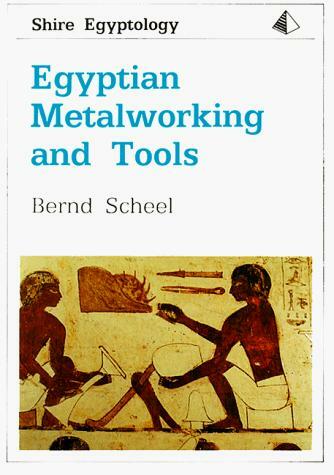 The cover of Egyptian Metalworking and Tools by Bernd Scheel: obviously a work of fiction! Well, I’m not going to try to gainsay that. I’ve never worked as a quarryman, but just from trowelling on an archaeological site, I’m aware of just how painful blistered hands can be and how hot hands can get when wearing gloves. My heart goes out to Pharaoh’s workers. But wait! The workers on the Giza Plateau had access to copper chisels. That would have helped them a lot, although Mr Rixon dismisses the copper chisels as they “would have to be made in their hundreds of thousands if not more, and worn out ones would have to be sharpened every one or two hours as the soft metal would soon be blunt and of no use” and apparently no furnaces for making them have been found “even if they have in time been covered by sand”. Oops! It seems that Mr Rixon hasn’t done his research properly. Here are some Egyptian drawings illustrating the metalworking process from the tomb of Rḫmir‘ (Rekhmirē‘), while here are some photos of the copper working site at TImna, where Egyptians began mining copper long before the Great Pyramid was built. After a lengthy and unconvincing argument from incredulity about the dressing of the stone, Mr Rixon considers how the finished blocks were moved from the quarry to the pyramid. He seems very taken with the idea of sledges but worries that “copper chisels could not possibly have cut the secure joints needed in the wood in order to hold the sledges together; they would simply have slid on the wood. That could only be achieved with metal chisels similar to those we have today”. According to this logic, nobody could ever have made a sledge (or any other wooden construction needing “secure joints”) before the advent of modern steel tools. It’s a shame, then, that we know that sleds were indeed used and there is a surviving example (complete with its “secure joints”) from the pyramid of Śnwsrt (Senusret or Sesostris) III at Dashur. The rest of the chapter continues to look at every theory put forward about the Great Pyramid. Such as the impossibilities of it being erected by simple workers. Aramac then gives his explanations of how and why all the pyramids were built that are scattered around the earth, along with those on other planets.